In a soup pan, warm olive oil over medium-high heat and cook leek and fennel 2 minutes. Reduce the heat and continue cooking for 3 minutes. Add zucchini and 2 tbsp. vegetable stock and cook for 10 minutes. Pour in vegetable stock, bring to a boil and simmer for 2 minutes. Add fennel seeds and season with salt and pepper. 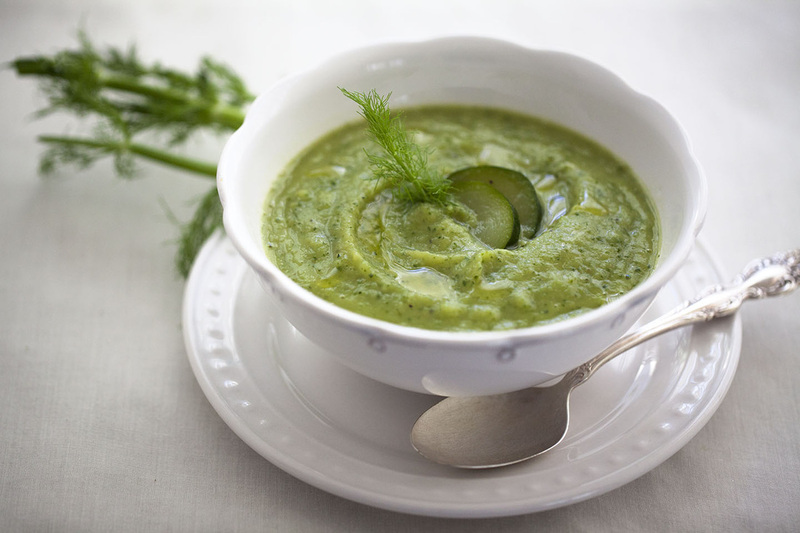 Puree soup in a food processor or use a hand-held blender. Serve it topped with a drizzle of good olive oil and a fresh parsley. Get more great recipes like this From Garden to Soup Bowl at http://www.FromGardenToSoupBowl.com.